We can’t stress enough on the importance of sunscreen ladies. 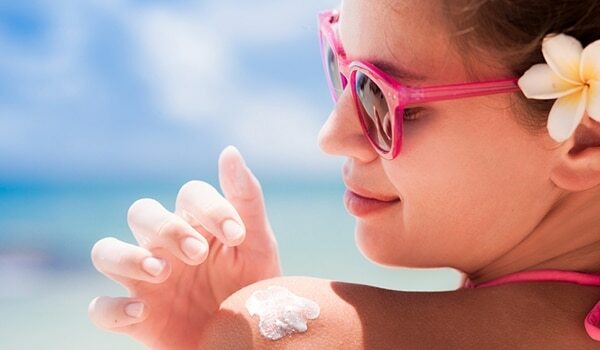 Stepping out without sunscreen is an absolute no-no and that is not just during summer, sunscreens help protect your skin throughout the year. 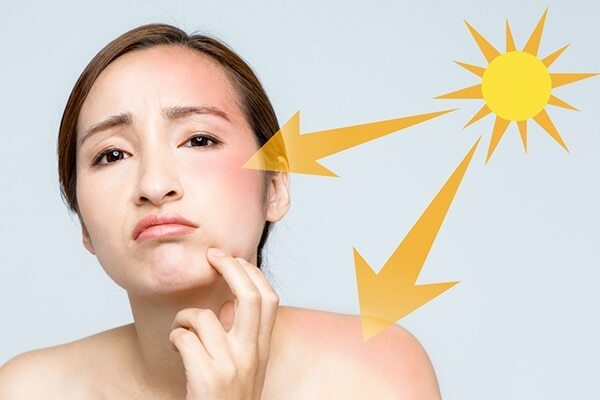 Prolonged sun exposure after all, is the main reason for sunburns, wrinkles and acne. Obviously then, it’s best to cover your entire face and body with a suitable sunscreen. Though you’re applying sunscreen on your face before stepping out in the sun, are you also applying on the corners of your eyes? 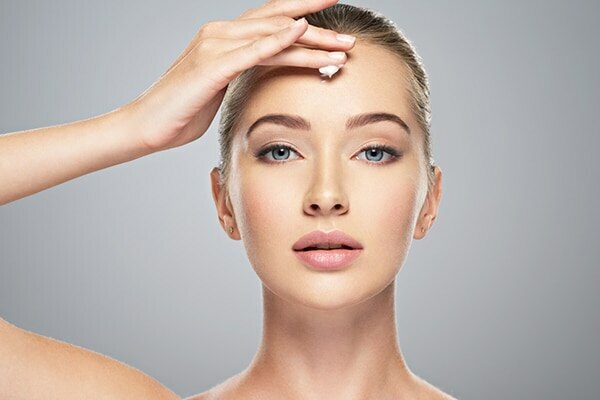 If the answer is no, then you’re missing out on a very important spot because free radicals generated from sun exposure break down elastin and collagen, causing wrinkles around and underneath the eyes. When it comes to protecting your face from the harmful rays of the sun, very few of us remember the hairline. However, you need to make it a point to apply a swipe of sunscreen along the line of your hair to avoid any sun damage. People often tend to either skip or speed over their nose while applying sunscreen on the face. But, did you know? 80 percent of skin cancer cases that have been treated are on the nose. Therefore, never ever forget this spot! The neck is a common site for all types of skin cancer and should be well-protected all the time when you’re outdoors. While applying sunscreen on the face, remember to go all the way down to your neck, and slather enough for skin protection. The harmful sun rays can take a serious toll on your lips too. Burnt and chapped lips is a nightmare to deal with. Before wearing a lipstick, it’s best to apply a layer of sunscreen to protect your lips from dryness and sunburns. Did you know? 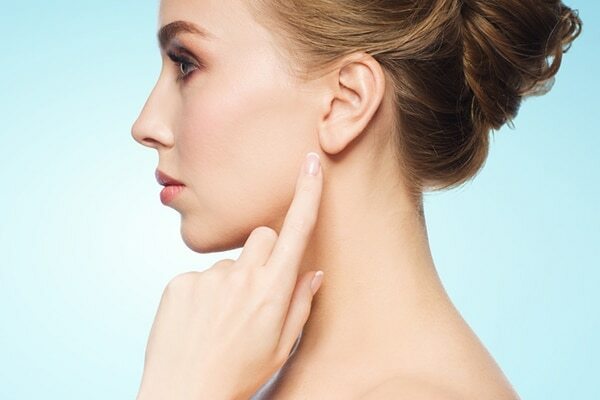 A lot of times skin cancer can occur even on the ears. Therefore, make sure you apply enough sunscreen on this often-neglected spot regularly. The skin on your lower eyelids is extremely sensitive. Ensure that the area is highly protected from sun damage. 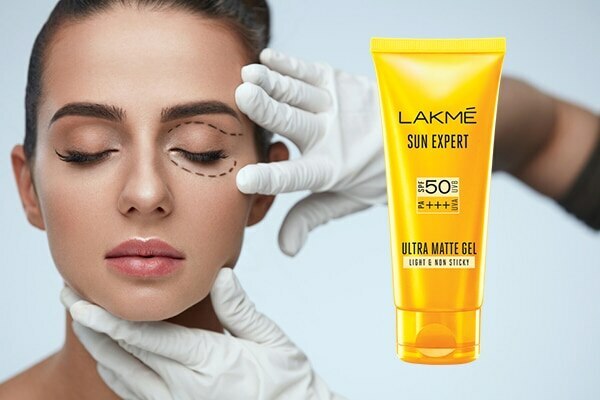 In order to avoid any type of chemical reaction, opt for a sunscreen that has a waxy texture, such as the Lakme Sun Expert Ultra Matte SPF 50 PA+++ Gel Sunscreen.